The Managing Director, Ashton Diffenthal, has been in the Beauty Industry for over 10 years. Ashton studied at Guildford college gaining a BTEC Diploma in Beauty Sciences. Ashton continued to study while building her beauty business in Binfield and gained a Degree in Business Management at Reading University. Belle La Vie was founded and established in Oakmede Shopping centre in Binfield on 4th July 2011, after building an extensive loyal customer base from a home beauty salon in the local area. Ashton's vision was to create a salon where all customers feel welcome, relaxed and enjoy being treated to excellent customer service by qualified, friendly, professional staff. To compliment this environment, Ashton created a Shabby chic interior themed salon and has continuously maintained the salon to an exceptionally high standard of decoration throughout. 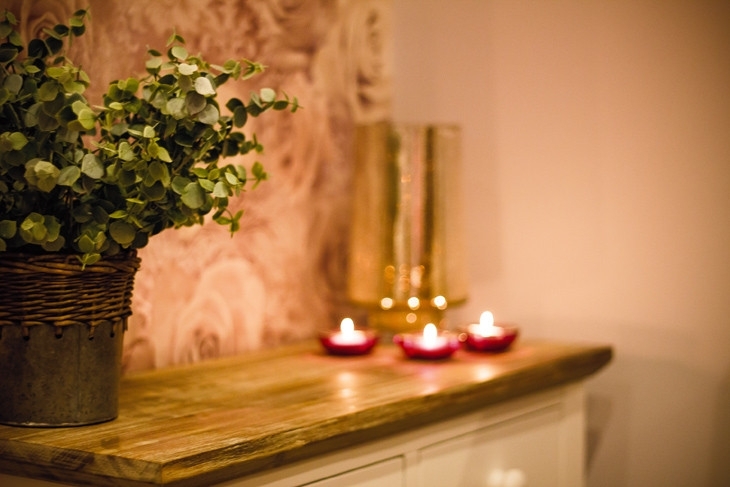 The recent refurbishment work carried out in November 2015 has changed the salon from Shabby Chic to a Rustic chic look and feel, keeping the welcoming and relaxing atmosphere for all to enjoy. Originally the salon only operated 2 late evenings per week, however due to increasing demand the salon now operates 3 late evenings per week for appointments, catering for all customers with long heavy work schedules. The salon has also extended its trading to include Sundays during peak periods. Belle La Vie works closely with the local community. We offer local business staff discounts, senior citizens discount, local school promotions and works closely with the Bracknell and Wokingham college. BLV employs local students that have qualified in the beauty industry to gain experience within the beauty salon environment. Ashton has built a strong team of qualified Beauty Therapists and Nail technicians, who all enjoy working in the beauty industry and satisfying customers needs. The team are always willing to help with any customer enquiries and pride themselves on building strong customer relationships. The team are regularly trained and refreshed on all treatments offered to ensure a high standard of customer service is always maintained in all treatments. Take a look at our full range of treatments.